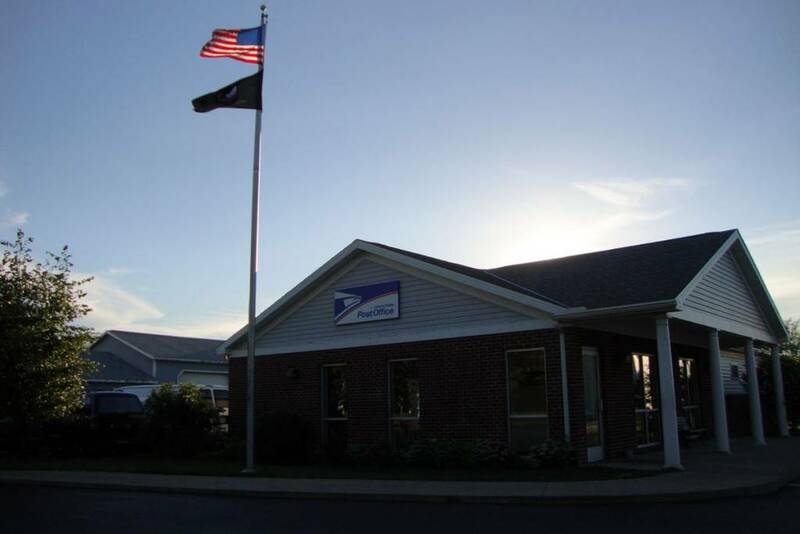 The United States Post Office at Put-in-Bay is the lifeline to the mainland. Here, residents can retrieve their mail from their Post Office boxes. There are no mailboxes on the island. The mail is not delivered to residences. Instead, all mail must go to a post office box. Finding this location is easy. The Post Office is located on Langram Road. Langram Road is arguably the most trafficked thoroughfare on the island. The gas station and hardware store are located on either side of the building. The downtown Put-in-Bay area is less than a mile away. Throughout the year, residents of the island get their mail from here. Generally, the mail comes to the island via the Miller Ferry. However, in the Winter months the ferry service ceases due to icing conditions. So, the mail must find a different way to the island. The mail traverses by airplane in the colder months. Each day, the mail is comes from either the boat or plane and brought to the Post Office. Then, the Postal workers sort through the mail and distribute it appropriately. This location offers all of the standard services of a mainland office. Services available include Priority Mail, Post Parcel, Priority Mail Express and general delivery. Additionally, they have stamps, packing supplies and greeting cards available for purchase. The Put-in-Bay Post Office tends to be a meeting place for many islanders. Moreover, many tend to come around the same time each day to converse with friends. The hometown feel of the island is well represented with a trip here. So, send out a postcard to family and friends during a trip to Put-in-Bay. Stop in and feel as though you are part of the community. Chances are you will run into some friendly islanders who will be happy to help. The island of Put-in-Bay is welcoming to visitors.